Patient confidentiality is a long-held principle in medicine. But some parents are starting to question where the line gets drawn – particularly in the case of those kids with addiction problems. There is a growing movement for parents to be able to intervene in their child’s treatment, writes The Jersey Journal. Maureen Fitzpatrick and Gregg Wolfe are leading the campaign – two parents who have both witnessed the suffering of their kids at the hands of heroin. Aside from helping ensure young addicts get the treatment they need, the drive for exceptions to the rules around parent confidentiality could no doubt have helped in these cases. The parents are rightly upset, and there’s fire in their bellies for change. Fitzpatrick suggested that if she’d known about her daughter Erin’s drug problem and her refusal of treatment at an earlier stage, she would have been able to help support and encourage her daughter. Instead, under present rules Erin was able to deny herself treatment at the age of just 16, while excluding her parents from her treatment and rehabilitation process. Gregg Wolfe, who lost his son Justin to heroin at age just 21, has said that the manipulative power of drugs means addicts aren’t always best placed to make decisions about their health – particularly young addicts. “A mentally ill drug-addicted child should not be allowed to take care of herself,” they suggested, as the campaign to break down confidentiality in drug and mental illness cases continues. 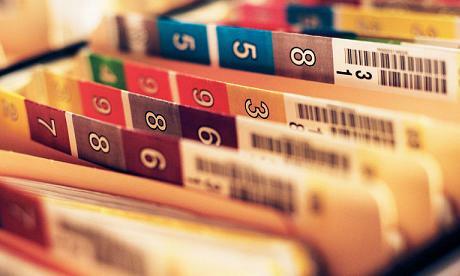 While the move would require a change in the law, parents across America are coming out in support of greater access to their teenagers’ medical records. The Valley Hope Association, which runs treatment services for those afflicted with drug and alcohol addiction, said that there was a fine line between patient confidentiality and getting the most effective treatment in place. Drug overdoses kill almost 40,000 Americans annually. At the same time, treatments are rapidly improving, and new drugs like Ibudilast are showing real promise of a breakthrough in addiction medicine. For those that choose to seek treatment for their condition, outcomes have never been better. But this will come as little consolation to those parents that still feel shut out the loop when it comes to their child’s treatment. Parents like Maureen and Gregg, who only want the best for their children, are being still denied access to the vital information that could have saved Justin and Erin from their fate. Rightly or wrongly, these parents are taking the cause to government to help minimize the pain and suffering caused to future teens and their families. But some are concerned the privacy violation is too much to stomach, even in these types of cases. As yet, there’s no sign of a political will to change statute, and while the country as a whole will sympathize with the circumstances of parents and addicted teens everywhere, there remains no quick fix.